Welcome to our stop on the Painting the Moon blog tour hosted by Red Adept Publishing. 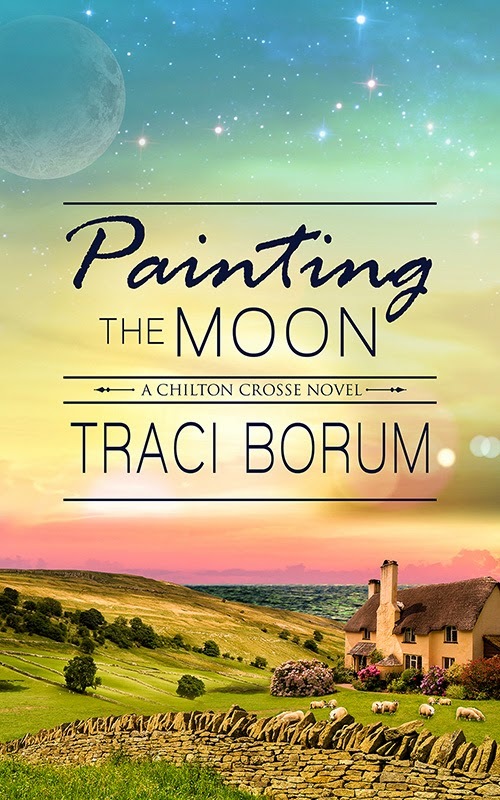 Painting the Moon is a new novel written by Traci Borum. Below is an excerpt where you can meet Noelle and there's also a guest post by Ms. Borum about the beautiful setting and her inspiration. Don't forget to enter the giveaway. Have a great weekend! When her childhood sweetheart, Adam Spencer, begins work on a restoration project in Noelle’s village, their friendship blossoms. But as her feelings for Adam deepen, she struggles with memories of what might have been and yearns for a future once thought lost. Faced with a life-altering revelation Aunt Joy took to her grave and a wrenching choice regarding the man she loves, Noelle could lose far more than her heart. The moment she saw the letter, she knew. The London postmark gave it away. Noelle set down her keys and coffee, deciding to abandon the rest of her Saturday errands. She needed to take this letter to the ocean. She couldn’t read it here, standing over junk mail and bills. She kicked off her sandals and walked down the steps of her beach house, grateful for San Diego’s mild weather even in mid-October. And grateful she wouldn’t have to walk far, with the ocean practically at her doorstep. When she picked her usual spot at the water’s edge and sat down, the foamy water crept toward her toes like long, greedy fingers then slinked back again. Noelle always sought the ocean during troubling moments—craved the sea air on her face, the tinge of salt on her tongue, the comforting swoosh of powerful waves. But sometimes, even the sea couldn’t keep her from feeling hollow. Stranded and alone. She’d already torn the envelope’s seal on her way down the steps. Opening the letter, she noticed the date, wondering why the news had taken two whole weeks to reach her. We regret to inform you of the unfortunate passing of Ms. Joy Valentine. Great Aunt Joy had died alone in that cottage. Noelle stared deep into the ocean as tears stung her eyes. Everything had gone quiet: the crash of waves, even the faint tapping of a neighbor’s roof being re-shingled two doors down. All silent. In the dull gray sky above the ocean, Noelle could see almost slideshow-like, vivid images of her great aunt. Her thin-lipped, lopsided smile; wiry, gray hair secured by a pencil into a makeshift bun; deep wrinkles around her mouth and eyes from decades of smoking. And next, flashes of summers spent in England with her and Gram—white-haired and soft-spoken, the opposite of her sister. Those women had taught Noelle to paint, to enjoy literature, to savor life. Her surrogate mothers, she always called them. Now both gone, the end of an era. As Ms. Valentine’s only living relative, you have hereby been named executor and sole heir of the estate. Please contact our office for further details. Sole heir. Noelle considered what that might entail. Her aunt’s modest cottage nestled in a village in the Cotswolds, Chilton Crosse. And the art gallery! Noelle hadn’t stepped inside in fourteen years, since she was seventeen. If she concentrated, she could still smell the pungent turpentine and old, musty wood that greeted her when she opened the door. The back room had served as a working gallery, where artists set up and painted while visitors wandered quietly, gazing at masterpieces-in-progress. Occasionally, Aunt Joy even participated. But that was before her sudden retreat into obscurity. Noelle recalled the scandal of that winter, a decade ago, with perfect clarity. Online articles screamed out the embarrassing headlines: Famous Cotswold Artist Has Monster Meltdown; Storms out of Art Show. No one ever knew what happened, never discovered the trigger that had caused Aunt Joy’s breakdown and subsequent retreat into reclusiveness. Noelle had tried to call her, write her, but the dozens of letters went unanswered. She didn’t know whether her aunt had even received them, or whether Joy had tired of all the probing questions: “Are you okay? I’m worried… why won’t you return my calls?” Joy finally sent one brief letter to Noelle, assuring her she was fine, but that she wanted—needed—to be left alone. She asked that Noelle respect her wishes and her privacy. And so she had. Restless, Noelle rose and brushed the sand off her jeans. She needed to go inside, make a cup of tea, and banish the chill. She headed back to the house with the letter, thinking about Joy’s funeral, wondering if it had been a media circus, with paparazzi descending on the unimposing village to fill the inches in their columns the next day. Or perhaps the church was almost empty, her aunt a forgotten figure even in her own community. In either case, Noelle wished she’d been there. And more than that, she wished she’d made contact with her aunt before she died. Just one more time. She maneuvered her way toward the kitchen through the maze of stacked-up boxes—surely, her roommate, Casey, would retrieve them next week after the honeymoon. But something caught Noelle’s eye. The painting above the mantel, one that had been there for years, one she’d strolled past a thousand times. Now, though, she couldn’t look at anything else. She drew closer and clicked on a nearby light to study the painting’s detail. One of Aunt Joy’s creations, given to Noelle on her fourteenth birthday—a seaside painting of England’s Cornwall coast. She touched the edge of the frame and peered at the canvas. A white-blond little girl stood at the cliffs, staring into the ocean and holding a broad-brimmed hat, its ribbon floating in the wind. Noelle could almost hear the bluish-gray water crash against the rocks as she looked beyond the little girl, into the endless sea. Noelle took a few steps back to sit on the couch, to wish herself into the painting. To those summers spent in England, where everything remained safe, intact. Not that she didn’t appreciate her life now. But lately, she’d become… stilted. Uneasy. An unfulfilling job, a stagnant social life, where she only played a role of herself, a pretend version. But those precious English summers centered her, brought out her genuine self. And she craved that again more than ever. On Monday morning, Noelle brushed out her honey-blond bangs and gave them a spray, planning what to say to the lawyer, Mr. Lester. She needed to phone his office before work, over a quick breakfast. Last night before bed, she’d done the math in her head, taking time zones into account. 8:00 a.m. San Diego equaled 4:00 p.m. London. She stood in the kitchen with her back against the countertop and slathered cream cheese onto a bagel. Knowing that Casey was married, truly gone, gave the house a specific emptiness. Especially since Noelle hadn’t found a roommate to replace her yet. He issued condolences and apologized for not contacting Noelle sooner, explaining his first notification went to an old address, then they got down to business. The idea of seeing the cottage and gallery was thrilling. She assumed no one but Joy had stepped inside those cottage doors in the past decade. Perhaps its contents might offer hints about her aunt’s reclusive period. In this Age of Technology, they could still handle the details if she stayed in California. Email, phone, FedEx, fax—back and forth, back and forth. But doing so might stretch things out to weeks, and Mr. Lester indicated they didn’t have weeks. The debt collectors might pounce soon. If she did travel to England, they could manage things in a few days. Plus, she could use that time to sort through the contents of the cottage—old family heirlooms, dishware, or valuables she wanted to keep. Dan, her boss, would balk about her leaving with such short notice, but too bad. She would remind him that she had vacation time and sick leave, lots of it. Surely, she deserved time for a personal emergency. Noelle could work the rest of the day then leave for England late tonight, with Desha covering her workload and meetings until Thursday. Dan couldn’t say no. The moment she hung up with Mr. Lester, Noelle remembered she would have to postpone the interview tomorrow with John Hill Advertising. She had worked so hard the last two months, polishing her resume, searching online listings for new job openings, scheduling secret interviews during lunch hours or after work. Nothing had panned out yet, but she had been particularly hopeful about tomorrow, a second interview with the senior manager. 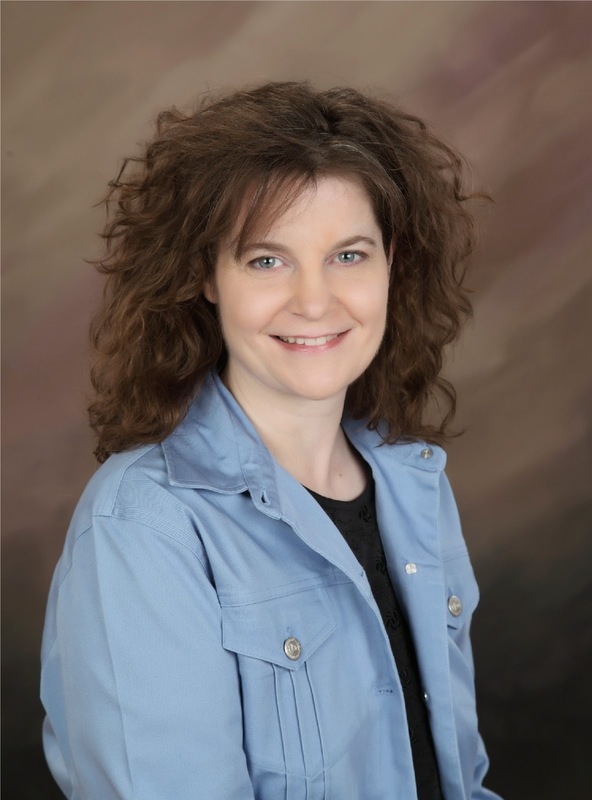 John Hill represented salvation, her escape from a job and a company she had once loved. But everything had soured drastically when Dan took over last year. The office politics, the backbiting, the pointless meetings and toxic environment. Enough was enough. She took another bite and peered out the window. She loved it here—seagulls, beaches, the steady shush of the ocean. But the house, even the gorgeous beach view, had lately become redundant. Can a “seven-year itch” apply to someone’s whole life? When the idea came to me, to set Painting the Moon in England, I immediately got excited. I could envision the double-decker London buses, the shepherd’s pies served in a crowded pub, the patchwork countryside that connected small Cotswold villages together. I’d been to England once, when I was seventeen, and that trip remained with me in a vivid way. When I brainstorm a novel, setting is usually secondary, with the characters and plot coming first. But this time, with Painting the Moon, the setting came to me before the characters ever did. I easily pictured a tiny Cotswold village with quaint cottages in an intimate, small-town setting. And then, I started to picture the characters inside that setting. Honestly, this story probably could’ve taken place just about anywhere: girl returns to her hometown (of sorts), discovers family secrets, reunites with a first love, and ends up finding herself. But the fact that Noelle, the main character, is an American, and the “hometown” is England, created some interesting conflicts I was able to explore. For instance, Noelle is that fish-out-of-water in the beginning, an outsider who must inch her way in to the village. Also, that distance of an entire ocean between her past life (California) and her current life in England makes the move even more drastic, more dramatic. As well, I think the obvious differences between America and England—the accents, the holidays, the weather, the music, the culture—force Noelle to depend on herself immediately, to find her own way without depending on anyone else. But hopefully, her search for family secrets, all of which are set decades earlier in England, help her to find her own family roots, to let her know that she’s not such an outsider, after all. And that England was always her home. Thanks for participating in my blog tour! I had fun writing the guest post.